My name is Octavia and I am located in Atlanta, Georgia. 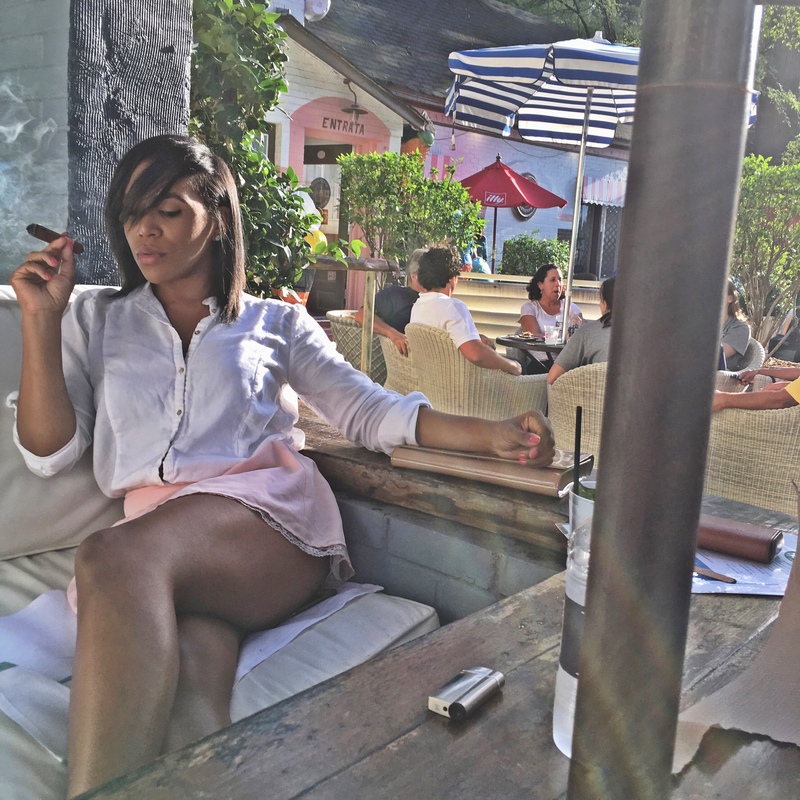 I started HERficionado because I was tired of being the only woman in every cigar bar I went to. Sometimes there may have been 2-3 more, but I could tell that some of the others felt they needed to downplay their femininity to hang out with the guys! I’ve never felt that way. I am a woman who loves fashion, I’m into fitness, I am a mother, but I’m also educated, funny, and I happen to like cigars as well. I wanted to create something that let women know that it’s okay to be into all those things at once! I wanted to provide a platform that showcases women who are embracing their femininity and can hang out with the guys without actually BEING one of the guys! This is not to knock women who are not as feminine as I am (because I am 100% GIRL…sometimes it’s too much lol) but it’s just about staying true to yourself no matter who’s around! I also aim to educate more women on cigar culture. 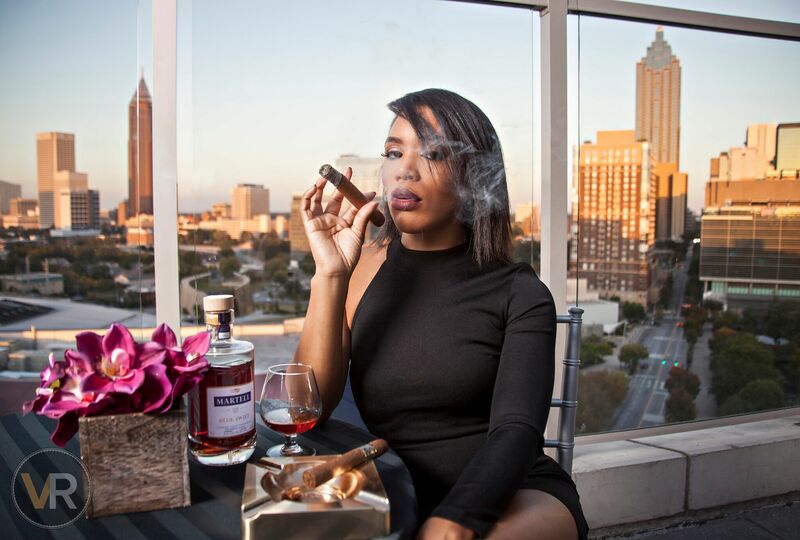 It’s traditionally “a man’s thing,” but as you can see, women in the cigar community are on the rise! 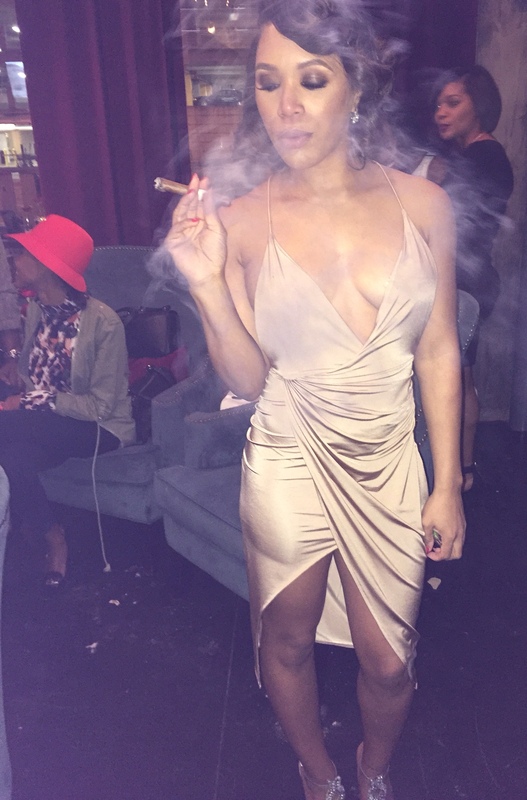 I went on a date to a cigar lounge and tried a cigar for the 1st time. I loved the atmosphere so I wanted to go back time and time again! Eventually, I found cigars that I really liked and that was the beginning of this love affair! I have a toddler, so I don’t smoke every day. I smoke 2-3 times per week when I have time to myself. On the rooftop of a beautiful hotel overlooking Barcelona! It was during sunset, and it was the perfect setting for a great cigar! I believe it was a Montecristo. I typically like to punch my cigars, but sometimes I use a guillotine cutter. I feel very relaxed and nothing can quite take me out of that mode. It’s a wonderful, blissful feeling. I like to smoke in the evenings when I don’t have to worry about jumping into the next errand, duty, or obligation. I enjoy being able to smoke my cigar, have a drink, and relax. That’s what they’re made for. This is tough! There are so many great sticks! I’ll start by saying that Perdomo 10th Anniversary Champagne will always be one of my favorites! It was the only one I smoked for about a year straight. One of my newer favorite cigars is the L40 from Drew Estate. I’ve never had such a smooth draw! It’s just an amazing stick! I also like the boutique cigars by Caldwell and Jas Sum Kral. The JSK is just such a beautifully constructed cigar & the flavor is top notch! My dear MB members, this was Octavia , a very good cigar lady. I hope you like her interview. Sometimes we need to know woman point of view about the cigars. Stay smokey my friend. One Response to "“Octavia Toliver„"